The world's best living aboard! Warning: you can easily find yourself lost in these owner blogs. Just saying. And they're off! Welcome to Ted, Jen, Katie (10) and Grace (8) – who started an adventure of a lifetime on their new 44-foot Antares sailing catamaran, Ohana. After many years of planning and saving, they sold their home on land, left their jobs, and moved aboard their Antares in Argentina. Follow them on their blog as they explore countries and cultures around the world. Their blog is an excellent resource on what it takes to sail around the world with two little girls as they navigate their way through the adventures and challenges they encounter along the way. 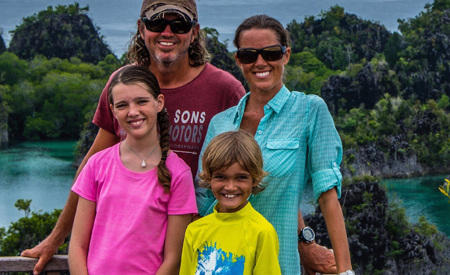 Meet Mark, Sarah and their two kids, Elizabeth & Michael – they embarked on an epic adventure 6 years ago and have been living aboard their Antares 44i s/v Field Trip ever since. They have been sailing around the globe, learning about the people and their cultures by immersing themselves with the villagers in often remote areas of the world. They share their unique outlook on sailing and their blog is not only an excellent resource to what it takes to practically sail around the world, but is extremely insightful and inspiring with its authentic voice. And did we mention all the amazing photography and video footage? 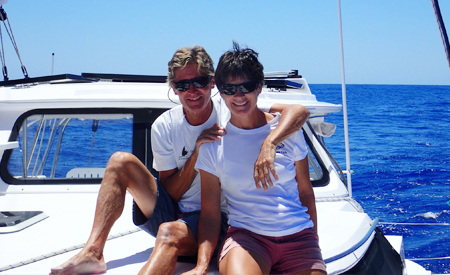 After selling their home in the UK in 2014, they started their adventure in Marmaris, Turkey where they spent a summer in the Med before crossing the Atlantic and spending some time recovering in the Caribbean. From there they sailed to Venezuela, the ABC-islands and the San Blas Islands in Panama and traversed the Panama Canal to enter the Pacific in April 2015. After completing their longest non-stop sail from Galapagos to the Marquesas (roughly 3,000 nautical miles and 18 days), they are now in the South Pacific. 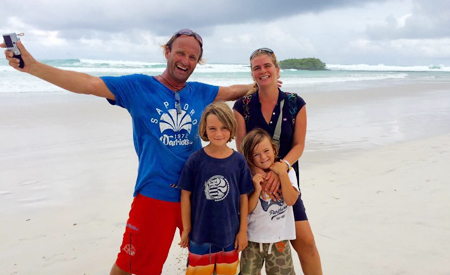 The Rehua blog is fun and insightful as they share their knowledge with us on their travel destinations and sailing adventures with the two boys. And did we mention the amazing photography? This is the story of Sally & Peter from Toronto, Canada, throwing off the shackles of working life in a busy city. Peter is a life-long sailor and Sally married into it almost 30 years ago. 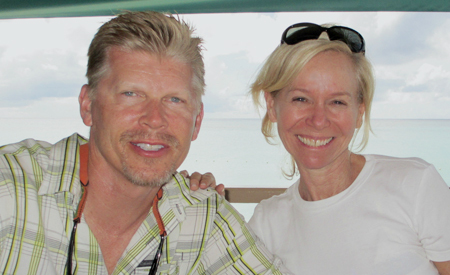 With their children, now young adults, they loved chartering and gradually the cruising bug took hold. 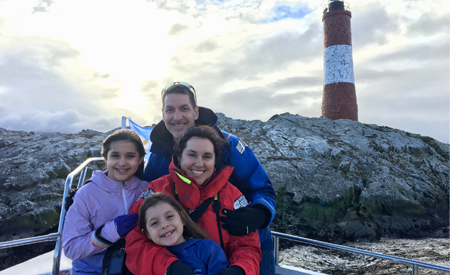 In 2015, they moved aboard their Antares 44i in Argentina and have been living aboard full time ever since. They are currently sailing in the Med, learning about different cultures, tasting the various flavors and enjoying new discoveries every day. Milly's blog is a fascinating look at the various destination. Sally's keen eye for observing the unique and unusual, and her authentic voice is a pleasure to read. The blog is updated on a regular basis and shares great photography and (near) daily insights. 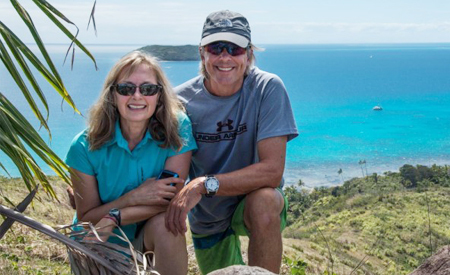 Pamela and Glenn describe themselves as travelers first, sailors second. For years, they've traveled and sailed, and learned that combining the two delivered far richer experiences. While there are faster ways to see the world, for them, it’s about the journey, the countries they visit, the people they meet, and the quality of time spent on the water between destinations. They moved aboard Mira in early 2017 and have been living aboard ever since. Mira's blog documents some of the decision made when buying the Antares as well as what it takes to outfit a catamaran for full-time liveaboards. They share their adventures and observations with us as they discover new places and learn about their Antares. 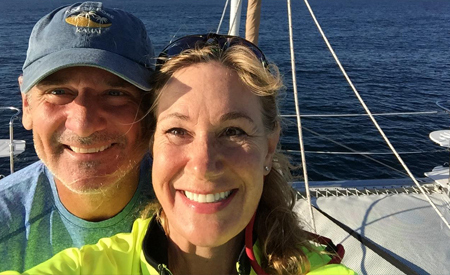 Ellen and Rand moved aboard their Antares in 2014 and have been on the adventure of a lifetime ever since (though we figure their lives have always been adventurous!). After spending time sailing the islands and the Caribbean, they crossed the Atlantic to sail in the Med. With a bigger vision to sail the globe, they crossed back and traversed the Panama Canal to sail the South Pacific. The one thing you should know about Rand and Ellen? They truly have a passion for the ocean and are great stewards. The Golden Glow blog is a very useful resource for anyone looking for technical knowledge of the boat's systems, equipment and various upgrades. That aside, it is also packed full of interesting travel information and facts about the regions travelled. There's always something new to learn! Link to the Golden Glow blog for more information. Margy and Monty moved aboard Whistler in the spring of 2015 and they started out where many sailor's destinations culminate - in New Zealand! They took small steps learning about their new Antares and spent the first season sailing to Fiji, broadening their scope with each season, and confidence, gained. The Whistler blog is filled with drool-worthy photography and inspiring destinations. It also logs the many decisions made before doing any passages and is a great resource for anyone planning (or dreaming) about taking the leap and sailing in the South Pacific. 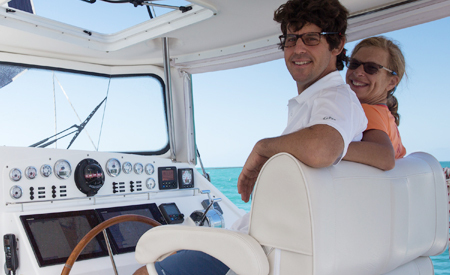 When Two Fish was launched in late 2013 and set out from the Argentine factory, Jason and Gail's first mission was to sail to her home port in New York to show off at the Manhattan Yacht Club and enjoy a few bagels! While Two Fish did sail up to NY and beyond, her sights soon became greater, exploring many unique and uncharted destinations. Their blog is an incredible resource for anyone living on a boat. It is packed full of useful information on what it takes to live aboard a catamaran, resolving technical and maintenance issues, and of course, insightful travel observations and writing about unique places around the world.